Today's is a special JoT, as we mark the passing of one of our heroes, Arthur C. Clarke. Looking over our work, you will find many references to his books and ideas. He was a main character in our comic series After Y2K, (we were told by an acquaintance of Arthur's that he had seen and liked the depiction! ), and he and his concepts have been featured in the Joy of Tech several times. Arthur's writings had the ability to lift the reader to new conceptual heights and to make one believe that the human race is capable of anything if it put an intelligent mind to it. He was on this Earth for 90 orbits, but his work will inspire humanity for as long as we continue to look up into the night sky and dream. 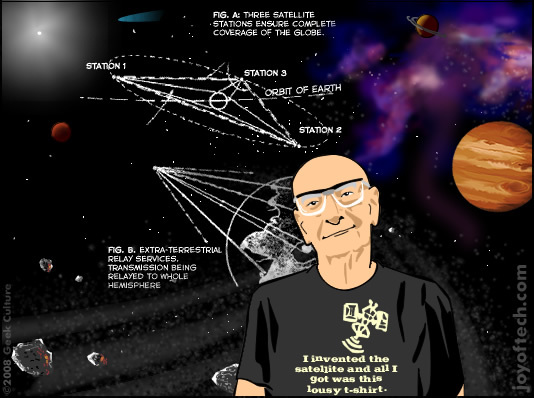 Favorite Arthur C. Clarke memory? He invented the friggin satellite, have you heard of it? That t-shirt of his rocks! His cartoon self's Real Millennium Bug Plan. 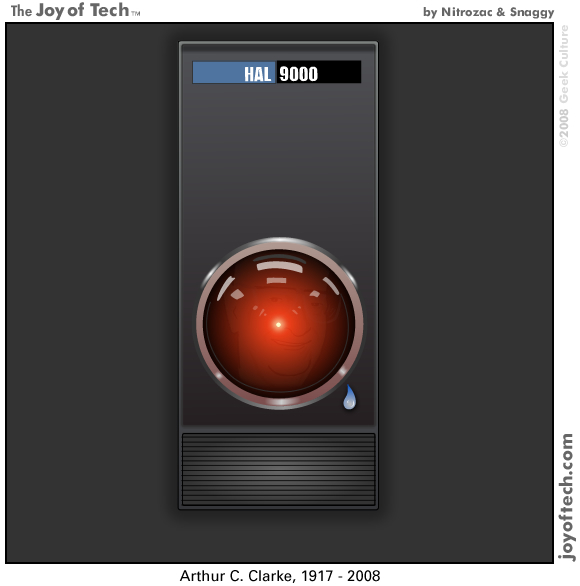 Huicho was first to report that Arthur C. Clarke is Dead, ... Colonel Panic rants over Hillary's Lies About Michigan Vote , ... YaYawoman sees some Jaw dropping FED action , ... The Famous Druid is pretty sure there's beer in this story, ... Jace Raven drinks Energy Drinks and Nitrozac wishes a Happy Belated B-Day for macmcseboy! 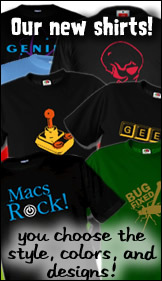 And in SuperFan Clubhouse Tidbits: Snaggy offers the Superfans another chance to win in the Jayce giveaway!